All, sincerest apologies in advance if this topic has already been covered somewhere in this forum and I've missed it. Looking for any and all opinions regarding these 2 choices. Obviously, I may find a bias here and that's fine too. I've test-driven both of them (GLE most recently a couple weeks ago and the X5 late January). Unfortunately, the GLE still had the plastic on the inside and outside and wasn't "tuned/checked out" according to the salesman; Not so sold on that idea, but what do I know. My lasting impressions are positive from both of these vehicles now that some time has passed. The X5 had a definite tight and sporty feel to it whereas the GLE had more of a cruiser, luxury feel to it but not "mushy" like the Audi Q7 3.0T I tested a short while back. In either of these choices, I plan on getting just about fully-loaded with the exception that I'm not sold on dropping $8K on the GLE's E-ABC system. The wife is sold on the X5, but I'm torn between the two for the time-being. Ultimately, I've been given the nod that I get the choice and wifey is happy regardless. I feel as if I can't go wrong either way given that I'm getting out of an old Infiniti! What have you all found maintenance/reliability-wise with these GLEs past and present? Given the latest reliability ratings for the X5 (good), none for the GLE since it is too new, and GLE vs X5 historical record, I have my doubts. Any former X5 owners that have switched to GLE? GLE to X5? Owners of both? Is it really a simple matter of the trite and tacit understanding "BMW is for driver-centric sport and Mercedes is for luxury"? Thanks in advance for any answers and advice! Hi Jay. It's probably too soon for a comprehensive opinion from many owners of the 2020 GLE. I've strongly considering both myself, and hopefully my thoughts will help you. First, I think it is more of a 'handling' vs 'luxury' preference, but I think BMW is drifting away from its tradition in that regard. The ability to shift in drive modes makes the MB appealing to me.. Second, I think reliability is more in the MB side. Although the first year for this generation and major changes, many friends who are BMW fanatics acknowledge that even non-new model BMWs are still prone to electrical gremlins. The current new X5 would make me worry more. That being said, I would factor in type of driving...both your driving style and if its mainly city or highway. Also, how you feel with your dealerships. I love my nearest BMW dealership and I've never bought anything from them. I dreaded going to any local MB dealership. 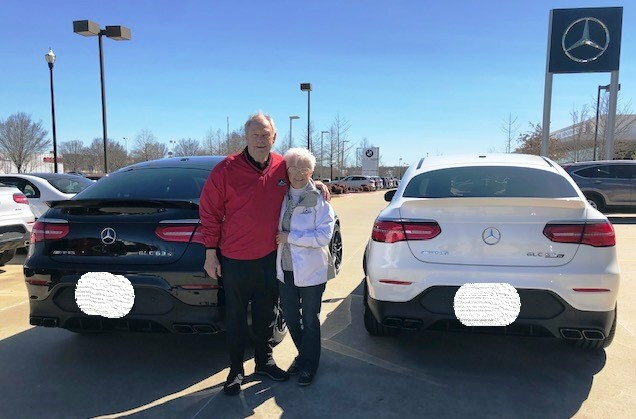 ShrimpKing just sold his 2019 X5 last week to buy a 2020 GLE 350. You should PM him for his reasons. The X5 has issues....go to BimmerPost and check out the owner complaints before you decide. We have gone from the 2010 and 2013 ML350 (former GLE) to the 2015 X5d and now going back to the 2020 GLE450. Its a matter of preference. Our X5d was very good and we swapped out runflats for better ride and I got it with dynamic dampers but the handling is so bad. The new Q7 is way better than the X5d. I still find the 2019 Q7 with 20 inch rims better handling and less roll than the new X5... The GLE falls in between but the ride is so much better and more composed. I just cannot get over the warmed over styling of the new X5. Its kind of boring and interior while a big step up has too many glitches. To me BMW has become more luxury with Mercedes with Audi being sportier. Maybe because I have Audi A7 and A8 with sports package but their steering feel and ride are more traditional german feel. The Q7 also but its too big. I havent driven the Q8 but I am very interested in looking into it. The Q7 is an amazing vehicle built on an amazing platform (MLB-EVO), if you find the ride too mushy opt for the adaptive chassis (also comes w/4 wheel steering) and go for the 21 or 22's. I've spent lots of time behind the wheel of the Q8, it felt cheap or perhaps less substantial compd to the Q7, the Q8 is not a true SUV but a CUV. Lux SUV's and CUV's built on the MLB EVO platform for the US mkt thus far: 2017+ Audi Q7, 2019 Porsche Cayenne, 2018+ Bentley Bentayga, Audi Q8, and the 2019 Lamborghini Uris...some very impressive company and the Q7 offers tremendous value comp'd to the Cayenne and others listed here. Last edited by RJC; 03-13-2019 at 11:38 PM. Last edited by DMG; 03-14-2019 at 09:03 AM. I have had a Q7 on loan for past 5 weeks whilst my GLC 43 is being repaired, it is ok but that's all, nothing to write home about, can't wait to have my car back. Yeah Philamg, nice vehicle but I was definitely underwhelmed by it in comparison. So was the wife. Also curious what happened with Shrimpking? Maybe hes so busy with the new GLE and waiting to get through the break-in period before giving a good update? Or he may be on a holiday? Sport vs Luxury, it's in their DNA. BMW has drifted away from being as sporty as they used to be, but still doesn't have the ride of a Mercedes. And same the other way around. I love my BMW's so of course have considered the X5 many times. Back in 2010 we went w/ the Acura MDX because it had close enough driving feel but at a lower price point and a 3rd row. In 2012 chose the ML350 BlueTec because it had a wider cargo area than the E70 X5 at the time and my wife liked the way the MB diesel felt better than BMW's. Around this time also, the E70 X5 I feel was at it sportiest. Driving it put a smile on my face, it actually felt fun. The MB was just comfortable, quiet, soft, and everything my wife was looking for. Our next 2 suv's ended up being a GLE350 and and now a GLS450 for the cargo space wife's familiarity w/ COMAND (she hates iDrive). I wouldn't let the early tech issues sway you too much. Remember that on the internet, you're only going to hear the bad and not the good. So while the X5 is having some complications, the GLE may have it's own as well. On our ML (first year for the w166), I had a bad front strut from the very beginning that took months for the dealer to get a replacement. On our GLE, the rear camera randomly at times wouldn't drop down out of it's cubby when you shifted into reverse. So I don't think you can go wrong w/ either the GLE or the X5. You should certainly take each for another drive, which rides as you would prefer for everyday? They're both tech heavy right now and are going to require a learning curve, which has menu setup do you like best? Which does the wife have the easiest time seeing out of (blind spots)? Do you have kids? Ease of getting them in and out? I pose that last one as that was a deal breaker on a few vehicles for us. The Escalade/Yukon Denali had a high liftover getting a stroller into the cargo area. Grand Cherokee's rear doors don't open wide enough when getting a kid in and out of a car seat. This is just one guys opinion. I have been actively shopping for an SUV recently. Admittedly I have not driven the new x5 but have spent considerable time sitting in one. I also currently own a 2013 X5 (base engine) and 2016 Mercedes C450. In the last few months I have test driven: 2019 GLE 450, BMW X3 M40i, 2019 Cayenne (base and S), 2018 Macan GTS, Audi Q8, and spent time sitting in the new X5 and X7. My observations from the GLE450. Interior was a mixed bag to me. I saw a low optioned one and more high-end optioned one and with the right leather, wood options it can look nice. However, there was cheap plastic bits all over. Similar to my C450, I feel like over time I will discover where MB cut all their corners. For example, the lower parts of the door had cheap plastic. The casing of the door which houses the window switches felt/looked cheap. I get they wanted a consistency/symmetry around both sides of the infotainment and the left side is the vent but then the right side just looks like this weird molded plastic that to me didn’t feel great to the touch. I don’t know. Of all the cars I test drove or sat in, my fear is relative to the price, this felt like the cheapest on the inside. I will say I did not spend much time with the infotainment and the SA really wanted to show me how great the voice activation worked. For me, I was more focused on the fit/finish of the vehicle and the driving experience. I will say the 2nd row of the GLE 450 though was very roomy, it felt the roomiest of the bunch. Saw one with an optional 3rd row and honestly that could work in a pinch with small children. The driver experience was OK but not what I’m looking for. It was the standard suspension and not that new package (SA said nobody was optioning it and the dealership was definitely not optioning it for cars on the lot). Even with the larger engine, it just lacked oomph. It was perfectly capable but did not excite and felt slower in acceleration than the base cayenne and Q8 (although my guess is it is actually faster in 0-60). It may also have been the area in which I was driving it around but I could feel the weight and body roll. Again, I’m coming from a relatively small C450 but haven tested the cars above, it did not feel nimble nor did it feel like some wafty luxury ride. I don’t know. This was just my opinion but was one of the deal breakers. Maybe the GLE53 will feel different but won’t likely wait around for it. The exterior was just weird. The AMG sport trim looks considerably better. The regular trim looks cheap. And while we’ve seen fake exhaust tips and air intakes in the front on other cars, this one just really took that to the next level. The exhaust are just trim plastic caps that aren’t even hollow (to be fair so was the Q8 - I don’t get this trend). Again, maybe the GLE53 will solve this but I doubt I will wait around. The lower are intakes in the GLE was just a latticed solid piece of plastic. I’d prefer that they just give me a solid bumper like the Range Rovers rather than this fake look. As I said I have not driven the X5 but have spent considerable time in the new one and also own a prior gen. I think the X5’s interior is nicer except for those back seats. I don’t know what’s going on with the wrinkles on those rear seats. See the bummer post thread about this. Looks awful. However, the real oddity of the x5 was the rear leg room. I’m 6 feet and setting the front to my desired seating position, the rear felt serviceable but cramp. I think its smaller than prior X5’s in favor of more trunk space. It also didn’t feel much better than the X3. Honestly, because of this I’m left wondering if I were to go this route, would I rather just get an x7 for utility (and more space) or just get an x3m. Q8 was the surprise to me. WIth the edition 1 package or whatever they call it, it really was a stunner. That said fake exhaust tips and the price just made no sense at $90K. I’d rather get a highly optioned Base cayenne and save $10K with better handling. X3 M40i was a surprise and did give me the fizz. That said, I think I’ll pass on that one. It did make me want to check out the X3M. Right now I’m leaning towards the Cayenne S. Fit and finish was beautiful. Exterior looks great to me with the right options. And performance and handling were great. That said, with the options I want its pushing $105-$110K territory. THis is pushing into X5M pricing. That said, I assume the cayenne S would also be more livable over the long run than the suspension of the X5M. Anyway that’s where I’m at in my process. WHy not the GLC63? I almost bought one last year but have never gotten the opportunity to drive one. My issue is the interior is too much like my C450 and won’t feel like a new car to me even though the engine will be killer. I also would need to wait for the mid-cycle refresh so there is no point in considering it right now. Man, I am almost in late night tears over this one - "Why not the GLC63? I almost bought one last year but have never gotten the opportunity to drive one. " Thanks for all the useful insight folks. Much appreciated in my decision-making process. I found the Q8 has a tiny hatch/trunk volume. It competes more with the X6 and GLE Coupé. These three cars aren't useful for families with such small trunks due to their sloping backs. The roller blinds in the Q8 are manual. Again, not practical with young kids. At least with the GLE you can raise them electrically from the front seat. Overall, The interior didn't impress as much as I had hoped. You have it pretty well nailed. One factor not mentioned is the coming evolution to the Bosch electric Turbo that should eliminate Turbo lag. I’m not up to date but I believe that Mercedes and Porsche/Audi may have something coming this year in performance models. The GLE 53 is supposed to have it but not until 2020 if you believe the Press Release.